Exquisite Country Club estate home, located on the 15th fairway is situated on a 14,874 sq.ft. lot, one of the largest lots at the Country Club. This 3-bedroom + office, 2 1/2-bath home has all primary living areas on the walk-in level. Upstairs bedrooms and bath ideal for children's space or guest quarters. Gated community. The first level includes entry, master, suite, gourmet kitchen, breakfast area, living room, family room, dining room, office, guest bathroom and laundry, just off a large two-car garage. 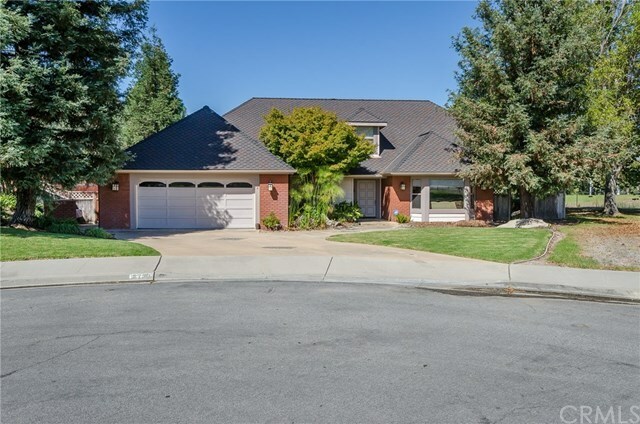 Ideal family home, walking distance to Los Ranchos Elementary School. This 2,873 sq.ft. single family home is constructed with the highest quality finishes, featuring beautiful new hardwood floors, two fireplaces and high ceilings in an open floor plan. This home is at the end of a cul-de-sac, next to open space, with no drive-through traffic. Directions: East on Hwy. 227 from the Airport to Los Ranchos Rd. Continue to security gate, take first right on Pebble Beach Way to last home on cul-de-sac. Inclusions: All appliances, including three-door refrigerator, built-in wine refrig., two-drawer dishwasher, mounted flat screen televisions.